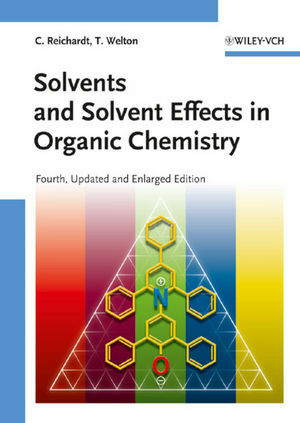 Now in its 4th edition, this book remains the ultimate reference for all questions regarding solvents and solvent effects in organic chemistry. Retaining its proven concept, there is no other book which covers the subject in so much depth, the handbook is completely updated and contains 15% more content, including new chapters on "Solvents and Green chemistry", "Classification of Solvents by their Environmental Impact", and "Ionic Liquids". An essential part of every organic chemist's library. "...the authors have managed to combine completeness of coverage of theoretical problems with the reference character of the book... The sections devoted to solvatochromism are valuable in themselves (Prof. Reichardt is a recognized world leader in this field) and prepare the reader for subsequent consideration of the versatile empirical parameters of the polarity of solvents... no other book now offers such exhaustive and deep information on the influence of solvents on chemical processes. This work is sure to be useful for all researchers, graduate students, and undergraduates working with liquid media."